We’d love your help. Let us know what’s wrong with this preview of Another Cinderella by Victoria Bastedo. To ask other readers questions about Another Cinderella, please sign up. Cinderella marries Prince Charming and gets her happily ever after. But what of her stepsisters and stepmother? Alexandria and Atlantia are left without their free laborer and while pockets grow emptier, the three women grow hungrier. It isn’t proper for any young lady of merit to work in the household, but Atlantia is too hungry to care. A pan of eggs turns into washing the windows and sweeping the floors. Too soon, Atlantia will feel like the new Cinderella. But she’s too stubborn to let her m Cinderella marries Prince Charming and gets her happily ever after. But what of her stepsisters and stepmother? Alexandria and Atlantia are left without their free laborer and while pockets grow emptier, the three women grow hungrier. It isn’t proper for any young lady of merit to work in the household, but Atlantia is too hungry to care. A pan of eggs turns into washing the windows and sweeping the floors. Too soon, Atlantia will feel like the new Cinderella. But she’s too stubborn to let her mother or sister boss her around! God is very present in this novel, as well as the journey toward Him, but religion is not the focus, nor is it ever really talked about in this book. It is refreshing to see God present without religion. Is it true that a transformation of soul and personality can take place without God or without a belief in God? I like to think that many other factors helped in Atlantia’s complete transformation and that anyone in her situation could have been transformed, but only with God could she endure. Those with true and sometimes blind faith in Him are able to stay calm in the face of chaos and kind in the face of evil and endure in the face of unending torture. This is an interesting explanation for how Cinderella endured so many years as the servant to her stepmother and stepsisters and endured their cruelty for so long. This is also an explanation as to how she was able to forgive them and wish them no ill will once she’d been taken out of that situation. I absolutely love the bad guy’s perspective and especially love seeing the complete transformation of a character that is realistic. I wish all bad guys in real life or even people who make bad decisions or used to be mean can about-face and become good people. I like to believe we all have the potential to be good people and that we all want to be good people deep down. Bastedo’s book is a thought-provoking discovery into how a good person can bloom out of a spiteful and mean person. I enjoyed the changing POV’s – from Frey to Atlantia to Theo and getting multiple little stories along the way. 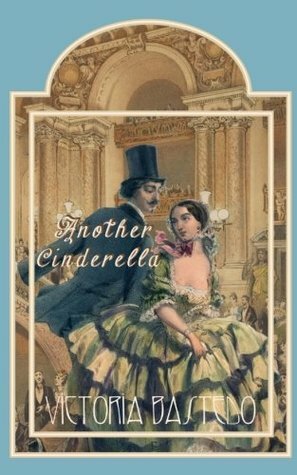 It was interesting to view Cinderella’s story from afar, through the eyes of those around her, especially as this story takes place after her well-known tale. I absolutely adore fairy tales and fairy tale adaptations and this book was no exception. It was enjoyable to read, fast-paced, and fulfilling. It was exciting to watch the characters, especially Atalantia, grow and change and to get an up close and personal view of their thoughts and feelings. I really enjoyed this "after story" and what could have happened to Cinderella's stepmother and stepsisters when she left. The characters were fleshed out, the tension and pacing were really well done and I really wanted to see if Atlantia would get her own happily ever after so I was turning pages long into the night to find out if she did! This book is a surprising after-story with all new people, but includes the familiar faces of Prince Charming and Cinderella. Read full review in the 2017 December issue of InD'tale Magazine.